Incoming freshman were directed to find each other on Harvard’s Class of 2021 Facebook group, and in late December about a 100 of them broke off into a meme-sharing messaging chat titled “Harvard memes for horny bourgeois teens.” Can you guess where this is going? Administrators were notified of the group, and contacted the students involved in mid-April, asking in an email for them to disclose all the memes they’d shared that could be construed as offensive and to “submit a statement by tomorrow at noon to explain your contributions and actions for discussion with the Admissions Committee.” The ten incoming freshman who had their admissions revoked were notified shortly after. 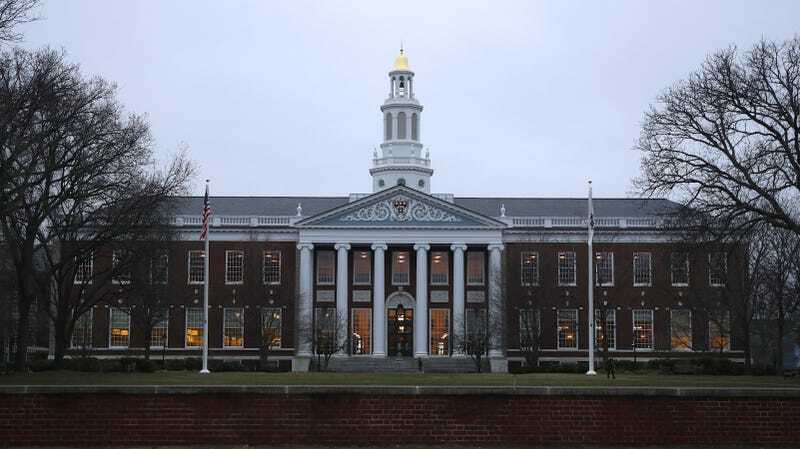 This is the second year in a row that incoming Harvard students connected through group chats were exposed for sharing questionable material; incoming students for the Class of 2020 shared racist jokes and mocked feminists in a GroupMe chat. At the time, administrators chose not to take action against the offenders because they were “not matriculated students at this point,” though they did condemn the language used in a Facebook post. It seems they have come to the conclusion that squashing some dreams will stop all the memes.